Hello, House of Wood readers! It’s Jenny from Paint Yourself a Smile! I’m thrilled to be hanging out with furniture-loving friends today because I’m a geek about refinishing furniture. I’m excited to show you how to whitewash furniture. 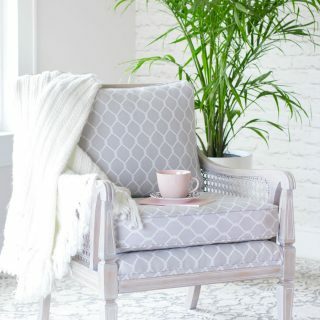 An old thrifted cane chair gets a new lease on life with a new gorgeous whitewash finish….